Two immaculate Chevy Bel-Airs owned by Jordan Fann and Jackie Gannon. 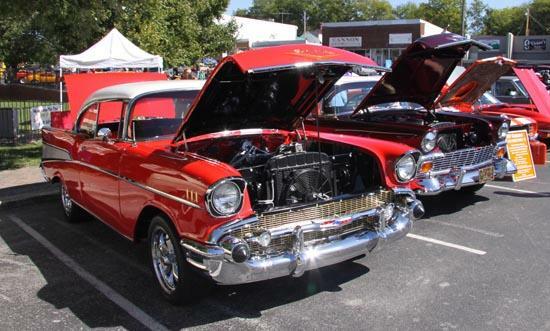 The annual Color of Fall Car Show was held on a beautiful Saturday afternoon. The event was well attended despite having been delayed for rain last week.